"There is no point us telling you because then you'll go and tell the world and they've got a head start. No". 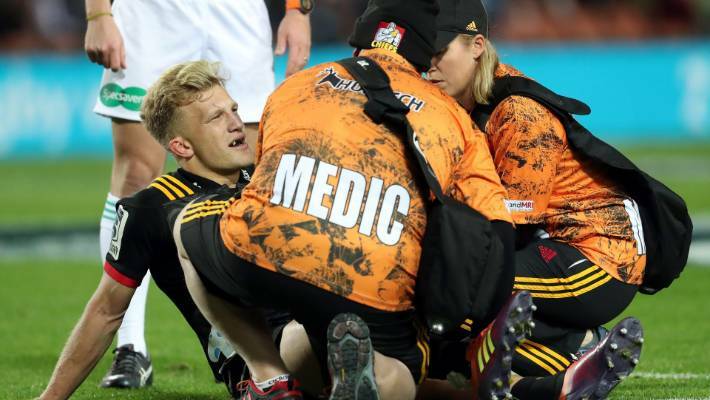 All Black utility Damian McKenzie has been ruled out of the 2019 Rugby World Cup after suffering a knee injury playing for the Chiefs against the Blues at the weekend. McKenzie was expected be one of the three All Blacks flyhalves selected for the World Cup, along with Beauden Barrett and Richie Mo'unga. He returned to New Zealand late previous year and signed with the Blues. He has been in vintage touch in Super Rugby outings this season. "None of us knew what Ma'a was going to come back like", Hansen said. I just like the fact that he's been courageous enough to come back and he'll be considered like everybody else. He's just got to show us he's got the ability to do that on a weekly basis at Super level. "As someone pointed out, there are a lot of good players in that position so there will be good people who miss out".